Let’s take a look at some acquisitions today, shall we? Mike Newell’s Great Expectations, starring Jeremy Irvine, Holliday Grainger, Helena Bonham Carter, Ralph Fiennes and Robbie Coltrane, has had domestic rights picked up by Outsource Media Group. 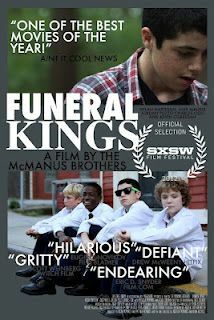 Funeral Kings, from Kevin and Matthew McManus, stars Dylan Hartigan, Alex Maizus and Jordan Puzzo and was recently acquired by Freestyle Releasing. Michel Gondry’s The We and the I, starring Michael Brodie, Teresa Lynn and Raymond Delgado, has been picked up by the partnership of Paladan and 108 Media. Hit the jump for images, posters and full press releases. TORONTO CA (September 8, 2012) – On the eve of its Gala Presentation at the Toronto International Film Festival, new funding entity, Outsource Media Group, has acquired all North American rights to the Mike Newell film GREAT EXPECTATIONS, starring Ralph Fiennes, Helena Bonham Carter, Jeremy Irvine, and Holliday Grainger, and produced by award-winning partners Elizabeth Karlsen and Stephen Woolley. 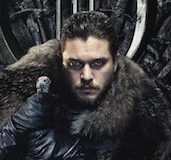 Outsource Media Group will now seek North American distribution partners to pair with its print and advertising fund to be allocated across an acquisition slate of pre-buys and finished pictures. Directed by Mike Newell, GREAT EXPECTATIONS is a retelling of the classic and beloved Charles Dickens story of the young orphan Pip, who is given a chance to rise from his humble beginnings thanks to a mysterious benefactor. Moving through London’s class-ridden world as a gentleman, Pip uses his newfound position to pursue the beautiful Estella, a spoilt heiress he’s loved since childhood. 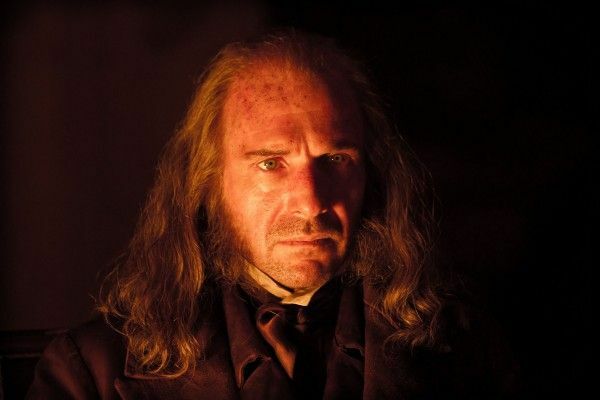 Yet the shocking truth behind his great fortune will have devastating consequences for everything he holds dear. The film was partially financed by Hart/Lunsford Pictures and Unison Films, which then sold the North American rights to Outsource Media Group. Hart/Lunsford Pictures is a motion picture finance group based in Louisville, Kentucky, and Unison Films is a production and distribution company based in New York. The balance of the financing came from BBC Films, the BFI Film Fund and Lipsync Productions. Hanway World Sales is handling all international sales of the film. Los Angeles, CA (September 7, 2012) – Freestyle Releasing announced today that they have acquired all U.S. rights to FUNERAL KINGS, the charming, critically acclaimed comedy that was written, produced and directed by brothers Kevin McManus and Matthew McManus. 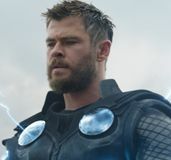 The film was executive produced by Andrew van den Houten (‘’The Woman,” “In the Family”) and stars Dylan Hartigan (“The Black Donnellys”), Alex Maizus, Jordan Puzzo, and Charles Odei (“The Good Wife”). 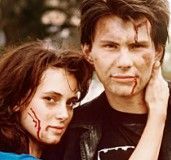 Michaela McManus (“The Vampire Diaries”), Michael Delaney (“The Other Guys”), and Kevin Corrigan (“Superbad”) round out the cast. FUNERAL KINGS debuted as an official selection at this year’s SXSW Film Festival and is slated for a fall release. It’s always a good day for a funeral at St. Mark’s Middle School in Rhode Island. Andy and Charlie, two altar boys, don’t just get to miss class anytime a parishioner kicks the bucket, they cut out early and play hooky as soon as the service is over. Eventually their irreverent personalities will put them in a situation that is too big for them to handle. The deal for the U.S. rights was negotiated by Freestyle Releasing’s Co-President Susan Jackson and Andrew van den Houten, President of Modernciné. “Kevin and Matthew McManus are talented new filmmakers who bring a fresh humor to the adventures of these ne’er-do-well New England Altar boys. We absolutely love the film and can’t wait to bring it to audiences,” said Jackson. “Funeral Kings was an audience and critics hit at SXSW and Fantasia and we are delighted to secure U.S. distribution with Freestyle for this very funny film,” said Andrew van den Houten. TORONTO, CANADA (September 8, 2012) – In their first major deal since forming a new distribution partnership last month, 108 Media and Paladin have acquired all North American rights to Michel Gondry’s latest film, THE WE AND THE I, it was today announced by 108 CEO Abhi Rastogi and Paladin President Mark Urman. The film, which was the opening night presentation at the Director’s Fortnight in Cannes this May, is making its North American premiere at the current Toronto International Film Festival. An early March opening in New York and Toronto is planned, with expansion into multiple major markets to follow. 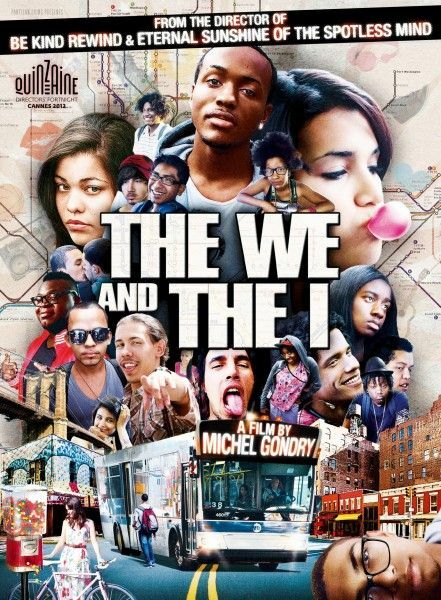 Set on the last day of the school year, THE WE AND THE I follows a group of Bronx high schoolers who board a city bus on their way home. With summer break ahead of them, and feeling more liberated than usual, this broad array of kids–the cool ones, the outsiders, and everyone in between–act out as only teenagers can and, in the course of one afternoon, their friendships, rivalries, ambitions, and anxieties are revealed. Gondry workshopped the project with students at a neighborhood after-school arts program in the Bronx, and his large ensemble cast, all of them first-timers, essentially play themselves, though the script (which Gondry wrote with Jeffrey Grimshaw and Paul Proch) artfully creates a fully formed vision of the life these kids live and the future that awaits them. Though set almost entirely on the bus, Gondry enlarges the film’s visual canvas with mobile phone videos, text messages, and a series of trompe l’oeil effects executed with his customary flair and inventiveness. Urman and Rastogi negotiated the deal with WME Global who represented Gondry and producers Georges Bermann, Juie Fong, and Raffi Adlan, while Kinology is selling the rest of the world (the film has already been sold in more than 15 territories). Noted film industry veteran Jeff Rayman, former President of Alliance Equicap and Alliance Multimedia board member, who recently joined the company as Chairman, was one of the initial investors in 108 Media along with Gerry Quinn who is currently President of The Erin Mills Investment Corporation. With the addition of THE WE AND THE I, the 108-Paladin partnership now has a slate of six titles, and the first film to go into release in the U.S. will be the highly acclaimed documentary, “Buffalo Girls,” which will open in exclusive engagements in New York and Los Angeles in December as part of its Academy qualifying run.